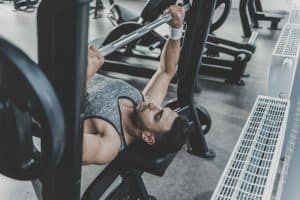 Working out is something that everyone should be doing, and with the price drop in Olympic benches, it has become easier to build up your muscles from home. 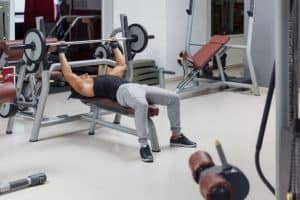 While some people enjoy the modern version of Olympic benches wherein there is an adjustable seat, others prefer to stick with the traditional flat bench design. 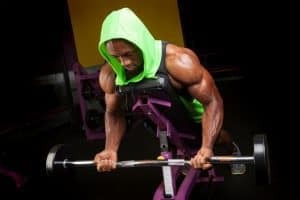 As such, we’ve reviewed the Valor Fitness BF-7 Olympic Bench to provide you with important pieces of information you need to know about the highly rated workout bench. 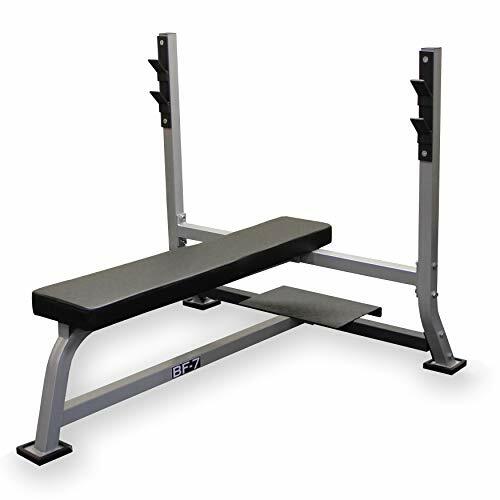 The BF-7 Olympic Bench was designed by Valor Athletics, which is a relatively new company that was founded in 2006 and has a headquarters based in Florida. The BF-7 is just one of the five benches from Valor’s BF line, and it’s the second most affordable of them all. It was released in 2012. The design of Olympic benches is different from that of a standard weight bench. The seat is wider and longer, so the Olympic benches are designed with serious weightlifters in mind. They are capable of holding more weight and built to meet pre-set specifications that have been outlined by American foundations. 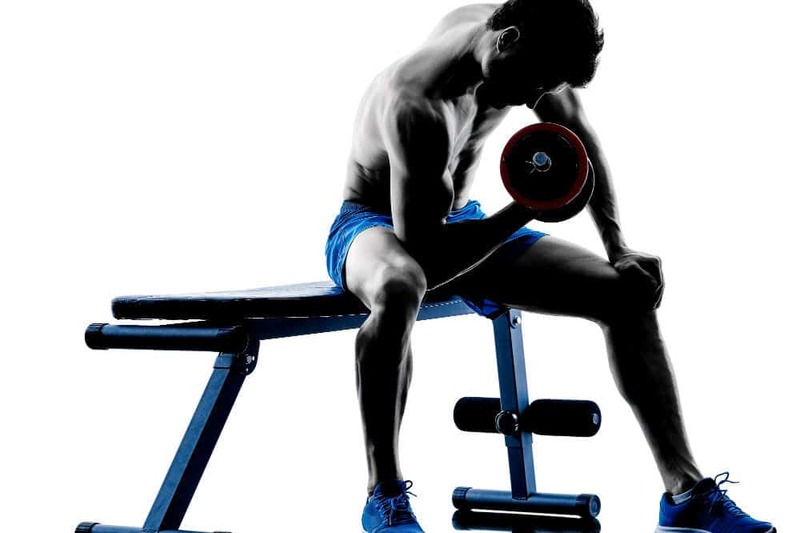 However, even if you only use the bench periodically, an Olympic weight bench would still work for you. It’s just important to keep in mind that only Olympic plates are designed to fit on the rod that comes with an Olympic weight bench. Thus, the product is perfect for anyone looking to lose weight as well as build or define their muscles. The Valor Fitness BF-7 provides weightlifters a 12-gauge steel frame that’s protected with a durable, pewter-powder finish to help prevent scratches or any other damage. It has a recommended maximum weight capacity of 450 pounds and includes a steel spotter platform for those days when you’re lifting more weight than usual. Unlike some of the other models in Valor’s BF series, the BF-7 is a flat Olympic bench and has a dual racking tab system for your bar. The backrest is explicitly contoured for safety purposes, and its ergonomically correct design helps to prevent shoulder blade rotation and other possible injuries while lifting. This model was designed for home use, but it is capable of handling lighter commercial use at places such as small training centers, schools, and other businesses that would average four hours of use each day. 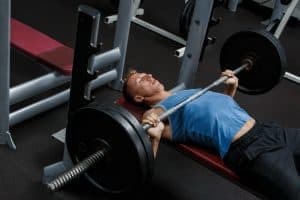 Olympic benches are some of the most popular benches on the market, but to get the most out of them, you first need to decide what type of Olympic bench you’d like to purchase. Typically, these benches have built-in racking systems, and they are designed to meet precise specifications. Again, the bench itself is wider and longer, and only Olympic plates can fit on the bar of an Olympic bench. 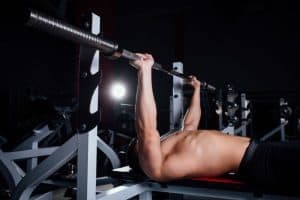 Once you’ve decided whether you want a flat bench or a fixed incline or decline, you can start getting the most out of it. One of the great things about Olympic benches is they are designed with longevity in mind. They are very durable, so you usually don’t need to worry about scuffing up the frame. 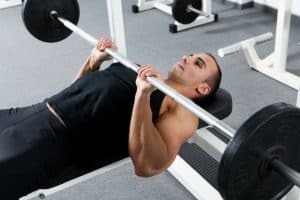 They also have a higher maximum weight capacity, which means you’re less likely to have to invest in a new weight bench once you’ve reached the maximum pressing weight. As long as you keep your bench maintained, it should last you for a long time and make it worth the investment that you put into it. These benches can come with add-ons such as leg developers, so it’s always a great idea to consult with the manufacturer or your owner’s manual to find out how to maintain any add-ons that come with the bench. If you’d like to find out more about the Valor Fitness BF-7 Olympic Bench, you can watch the included YouTube video. When it comes to Olympic benches, the majority of them are designed with the specifications that put them into the “Olympic” category. However, just like with anything else, there are basic models and professional models, and it’s all a matter of what your needs are, and how much you’d like to spend. We wanted to provide you with a few alternatives to the BF-7, but we wanted to stick with Valor Fitness, so we looked at some of the other models that they offer. The BF-48 Olympic Bench Pro is similar to the BF-7 but provides a few more features. With the BF-48, you get a maximum weight capacity of 500 pounds, a dual-layer bench pad, both 11 and 12-gauge steel support frames, nine-position safety catch, locking pull pins, and two-position striker plates. The BF-48 is slightly more expensive, but it does offer features that are missing out on the BF-7. 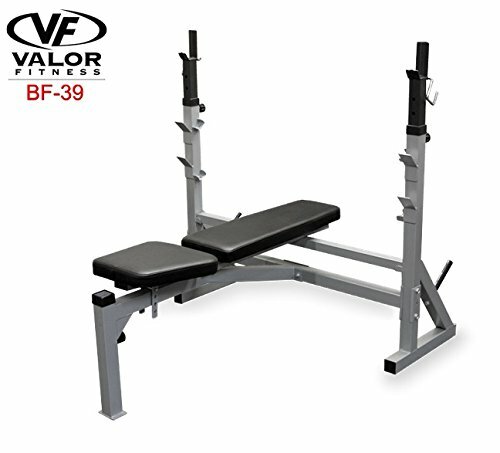 Valor Fitness also offers the Valor Fitness BF-39 Olympic Adjustable FID Bench. If you prefer a bench that gives you the option of laying flat or at an incline or a decline, the BF-39 is the option for you. It’s incredibly close in price when comparing it to the BF-7, and can adjust to five different positions. The BF-39 also allows you the option of adding on a leg lift accessory, which is sold separately. After our review, we feel like the Valor Fitness BF-7 would be a great Olympic bench for someone just starting out. It’s wallet-friendly, comes with a warranty, and is easy to use and assemble. It does only have two bar positions when the industry standard is three, which could be a drawback, depending on who is using the bench. Nevertheless, it looks great for what you pay for it, and the cushion is firm, which could either be a pro or a con depending on preference. The more advanced weightlifters might not enjoy this bench as much as they would the Valor Fitness BF-48, which is a professional grade version but if you’re a beginner and are just starting to define your muscles and you don’t want to go to the gym, the BF-7 is a fantastic, durable, and highly reliable Olympic bench to help you get started.